Over dinner this weekend, I heard this story first hand. I had only been a Christian for six months. Six years ago, we moved from Texas to Richmond and began to look for a Spanish language church. I didn’t find any for a few weeks, so my wife and I decided to attend an English language congregation. We arrived and sat down in the pews, clearly the stranger. We didn’t speak English at the time, so we really had no clue as to what was happening. However, after church, all the people left. We stood around, and guess what? No one talked to us. 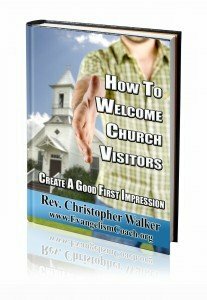 Part of the responsibility of every church is to welcome the church visitor in their midst. Most churches say they do it. However, my friend’s story reminds me that though we may think we are friendly, we are friendly only with each other. My friend only remembers that church from six years ago, because no one talked to him. I wasn’t surprised, because I’ve had similar experiences when I visited churches (like this church visit on Christmas Eve). 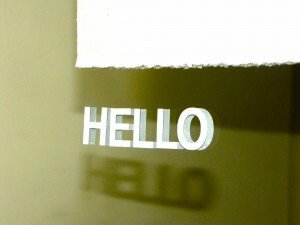 When you notice a stranger in your congregation, do you move to welcome them? Do you go beyond a handshake and “God bless you” and engage in conversation?